Taxation has become a real threat hanging over food manufacturers’ heads as they scramble to meet further sugar and calorie reduction targets. The current demands show that customers are looking for much cleaner labels, and campaigns have been introduced to encourage parents to choose healthier versions of the products they buy for their children. After an unsuccessful attempt to achieve a 5% sugar reduction in five of the eight food groups in 2016, will manufacturers be able to meet these new reduction targets of 20%? 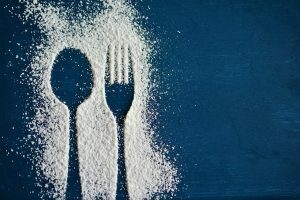 Public Health England (PHE) have recently set the industry reduction targets for 2020 and 2024, with a 20% reduction in both sugar and calories. This has put manufacturers under more pressure to reformulate their food categories and products. A tax on foods that are high in fat, salt or sugar now looks inevitable. It is predicted that consumers will want to see natural sweetener alternatives to sugar, especially in products aimed at children. Ingredients makers are all competing to meet the growing demand for natural ingredients. The Swiss flavours firm Givaudan recently launched a new approach to sugar reduction which removes a need for sweeteners altogether. With a few of the nine product categories expected to miss next year’s target of 20% sugar reduction, time will tell what the future holds for these targets.